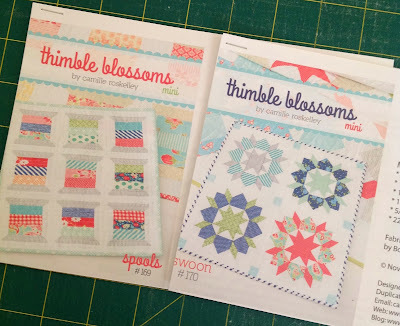 Over the weekend Camille of "Bonnie and Camille" and "Thimble Blossoms"
The "original" Swoon block is 24" and the new Mini Swoon Block finished at 8"
Does this not just scream "Cute". I am limited for space on my Mini Wall so I decided one block would be perfect for me. Sometimes it really is the smallest things that can make you the happiest. Better go, no sitting still for me this morning. 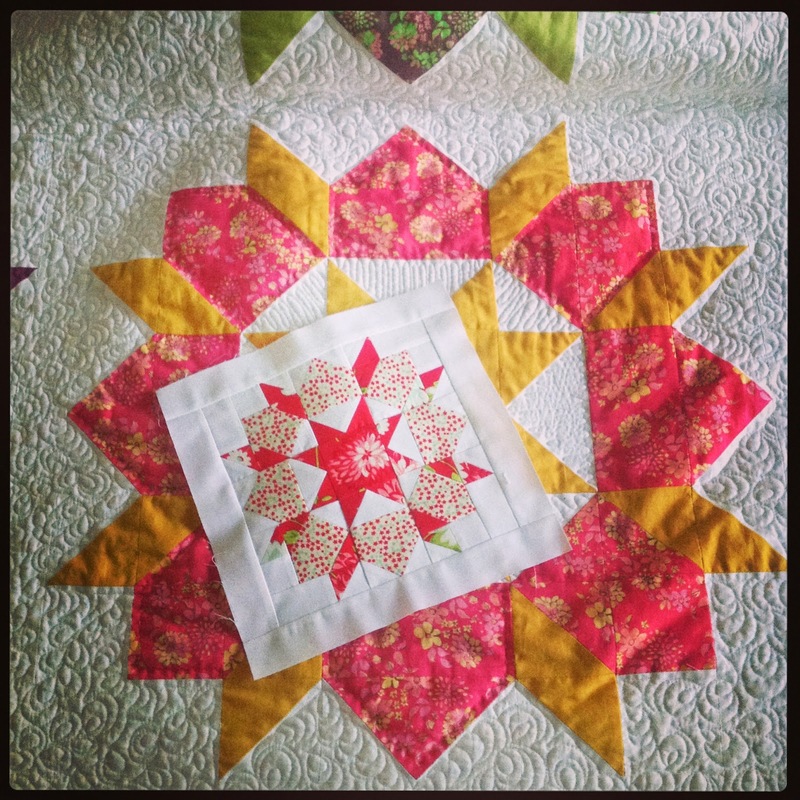 I love the Swoon quilt and love the fact that it now comes as a mini. Very cute. Thanks for sharing. Looks fabulous Sharon and such a thrill to hear from the designer. Your mini Swoon is gorgeous Sharon. 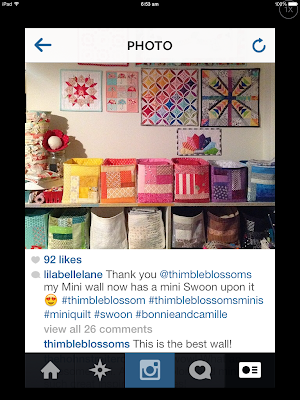 How exciting to have Camille leave you a comment! Love your minis...the wall of minis is quite enviable! Oh dear, I did not know that a mini swoon existed--I don't know whether to bless you or curse you! Your design wall is splendid. Love the latest addition to your wall! Ha! A comment from Camille would make my week! I love the block it is cute. I think I need to place these on my list too. Yes, it definately IS quite beautiful . I love minis and small quilts because they are much quicker to make, especially by hand, and I don't have a lot of wall space for display. Love yours.